ABP has secured new business handling 40,000 tonnes of steel each year at the UK’s biggest port, the Port of Immingham. Freight forwarding company R.M. Maritime, has chosen ABP to expertly handle steel destined to be used in the construction industry in the UK. The first shipment saw ABP successfully discharge over 12,579 tonnes of steel beams from the 147-metre-long New Age vessel. The steel imported from United Arab Emirates will be stored externally and then distributed by road to Rainham Steel based in Scunthorpe. 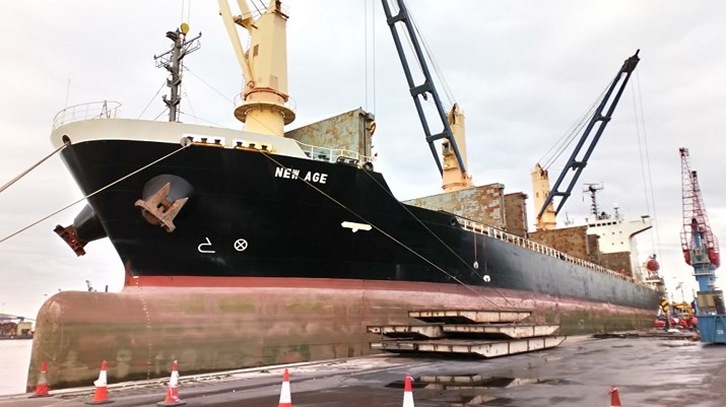 Simon Bird, ABP Humber Director, said: “We’re proud to be able to offer our customers expertise in handling a range of cargoes in an efficient and safe manor. “We continually invest in our infrastructure and equipment to ensure that we are offering the best possible service.